The exhibit "Under The Influence: He-Man and the Masters of the Universe" will take place next month at Gallery 1888 in Los Angeles. 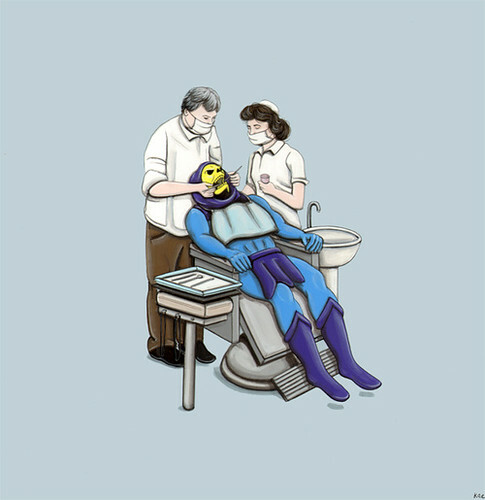 If features many artists' expressions of the He-Man universe, such as Kiersten Essenpreis' "Skeletor Gets a Root Canal." You can view more at the link below.